In reference to this circuit: Photoresistor snap-on/off switch. 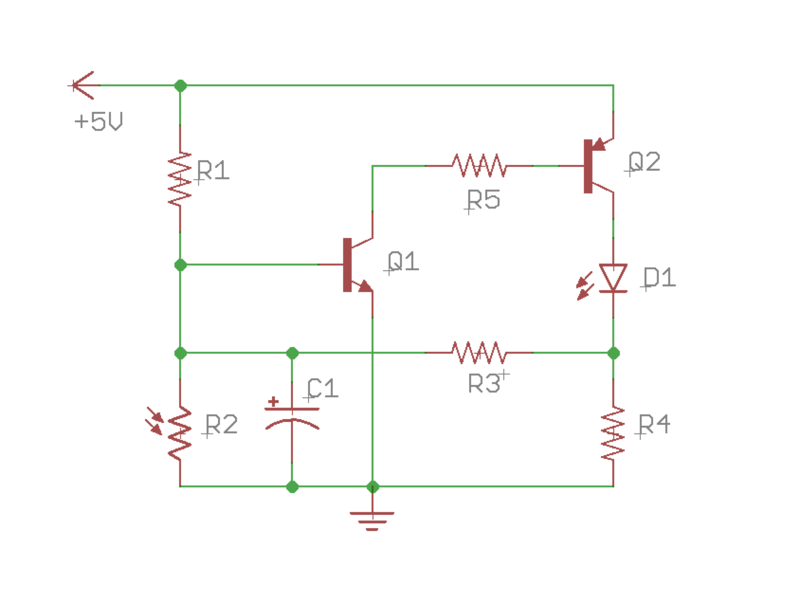 If I wanted to add a small delay so that the circuit doesn't immediately turn then and off if the ambient light temporarily dips below the "on" threshold, could I add a capacitor like so at the base of the NPN? Or should the capacitor be placed elsewhere? This connection of the capacitor will result in feedback (hysteresis) delay. And the switch will start falsely reacting to light from D1. 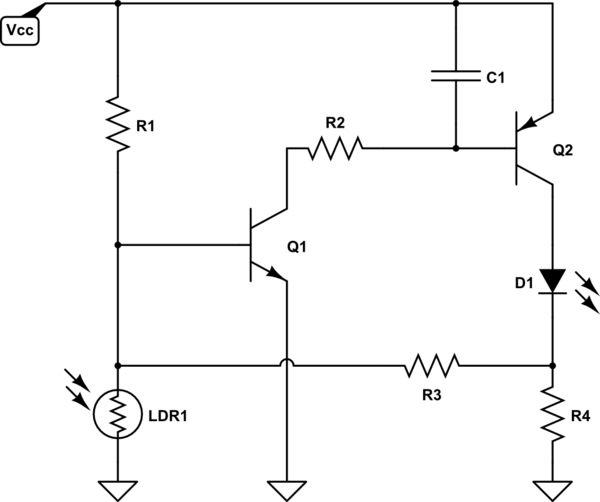 It is better to use series RC circuit in the base of transistor Q2. This will cause a delay in turning on or off. Not the answer you're looking for? Browse other questions tagged capacitor switches light ldr or ask your own question. How to avoid infinite on/off loop of a voltage controlled (with a photoresistor) switch?